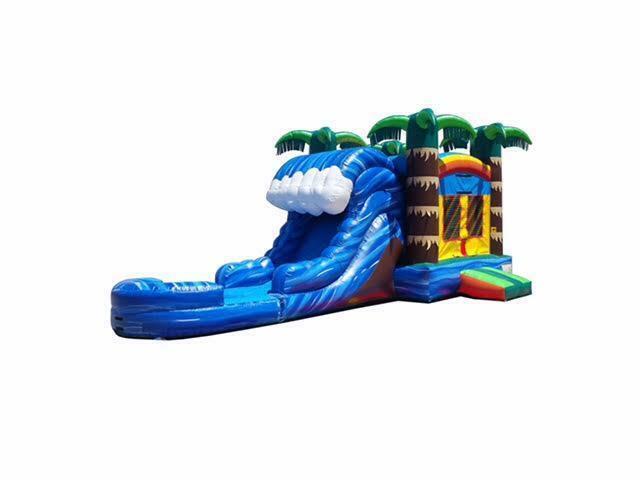 This WILD WAVE Water Slide Tropical Combo inlcludes a basketbal hoop and a huge 15x15 jump area. This tropical wave themed combo will have you sliding and bouncing in a island paradise. 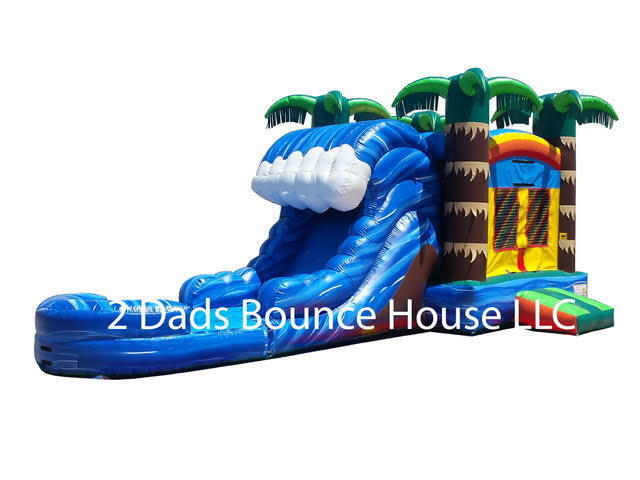 Bounce, hoop, and slide this one has it all. This Combo will bring the WOW FACTOR to any event and leave your guest as happy as can be.